This is the first time I am excited to do a race report. I've never felt so.... happily overwhelmed with love, care, support, and kindness from so many people! 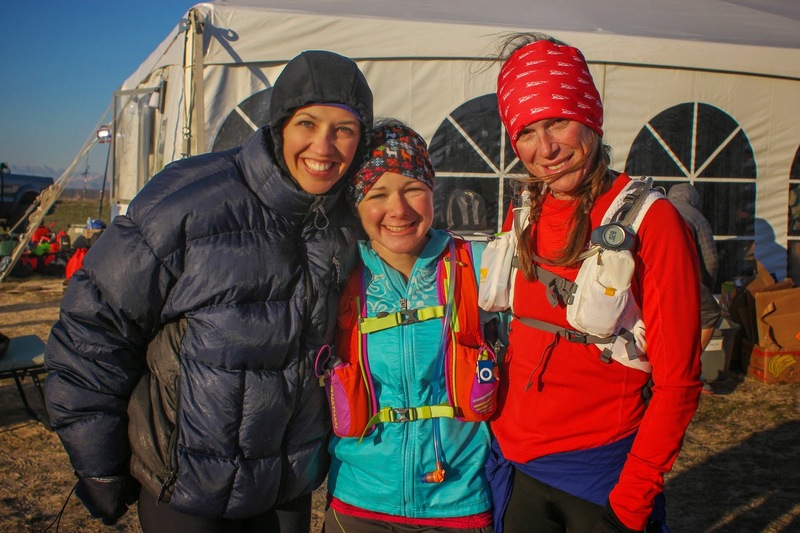 The short story: I struggled with early vomiting, negativity, and decided to DNF at mile 27. Then I was talked out of it, rallied, and gave that race (literally) everything I had. The long story: Friday morning on the drive out to the Buffalo 100, I discussed with Craig and Scott our race plans. 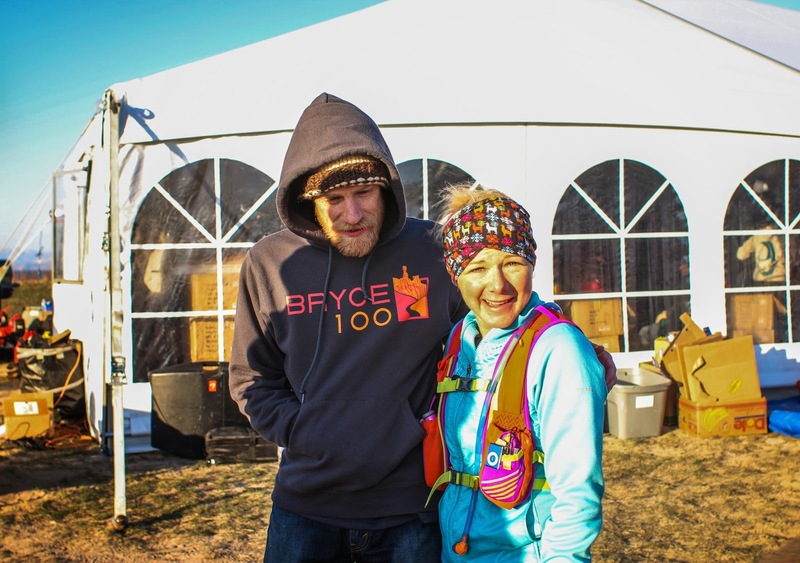 I asked Scott if he wanted to hang with me for some miles, saying my only plan was to "have a fun run with friends" until it wasn't fun anymore, and I'd go from there. 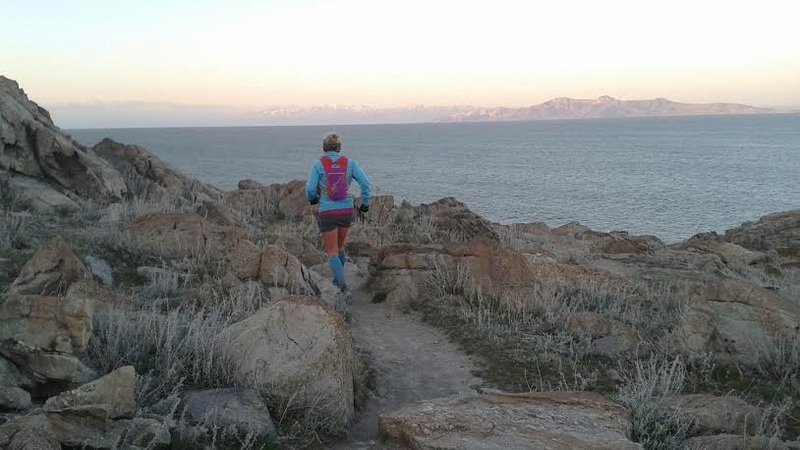 Given my mishaps in training and tapering, I wanted to go out easy and see what happened. This would be my first time tracking only time of day for fuel as well as not knowing distances between aid stations--which I did to help remove pressure from me. We started out happy and chatty. 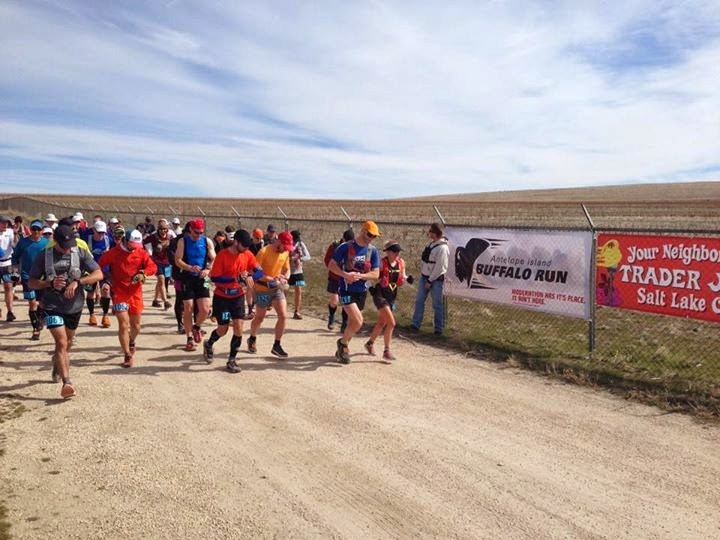 Scott and I found ourselves wedged into a group of about 7 other men, who spent the first 10 miles of the race quietly listening to Scott and I loudly tell jokes, sing our own versions of "Guy on a Buffalo," and other such nonsense. I laughed more in that 10 miles than I ever have in any race. Around mile 12 Scott and I began leap frogging a bit. 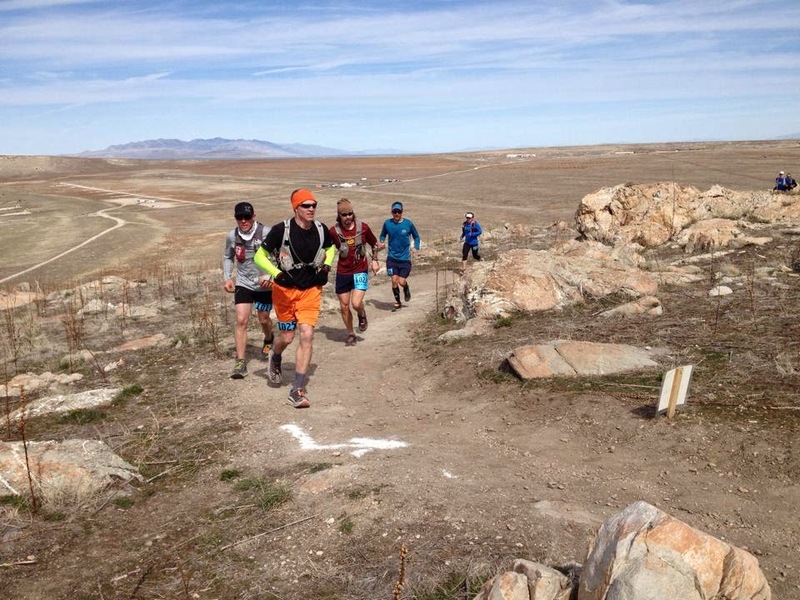 I hit a low around mile 14: my legs were cramping, my hips were stiff, and I was nauseated. 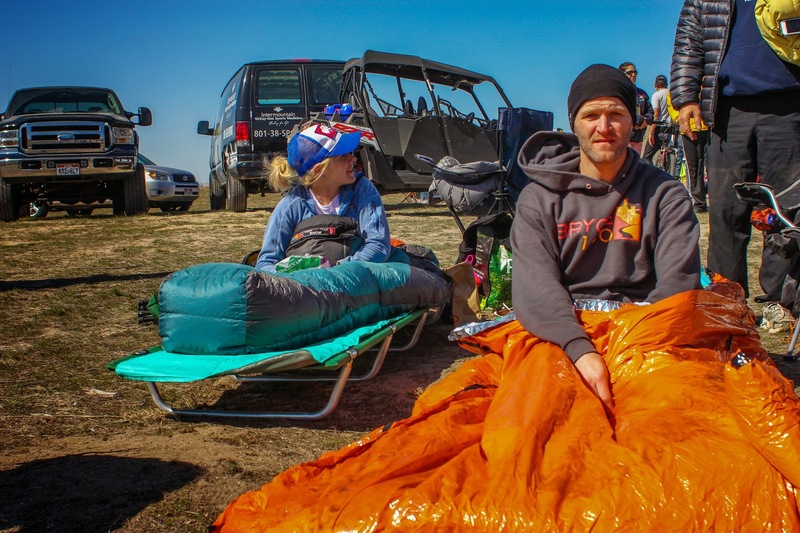 Jeremy Suwinski and I chatted for a bit somewhere in there, and he said words that would resonate for me later in the race, "with these 100's, every now and then you get a bad case of the f* its. And then you just screw all your goals and times and just let it all go-- and just run." At mile 19 (catching Scott again) I took a Zofran for my sour stomach, stretched my hips, and took off. I spent the next 15 minutes, pleading with Scott about why I should DNF. I remember saying, "I've never wanted to quit a run or race before. Today, I've never wanted anything more than to just drop. I just can't do this." At mile 21 Scott turned back and saw me on my elbows and knees puking into the bushes. I hated that he saw, I didn't want him to worry and I knew he hated leaving me like that. But he wasn't there to be my pacer, and he needed to continue on. I spent the next 6 miles frequenting the bushes until all I could vomit was awful bile, heaving so violently that I would occasionally pee in my running skirt (sorry if TMI). I was trying to hold back a total break down. Demons of negative thoughts entered my head, and that was the lowest/most depressed I've ever felt. I hiked to Lower Frary repeating to myself "I can't do this. 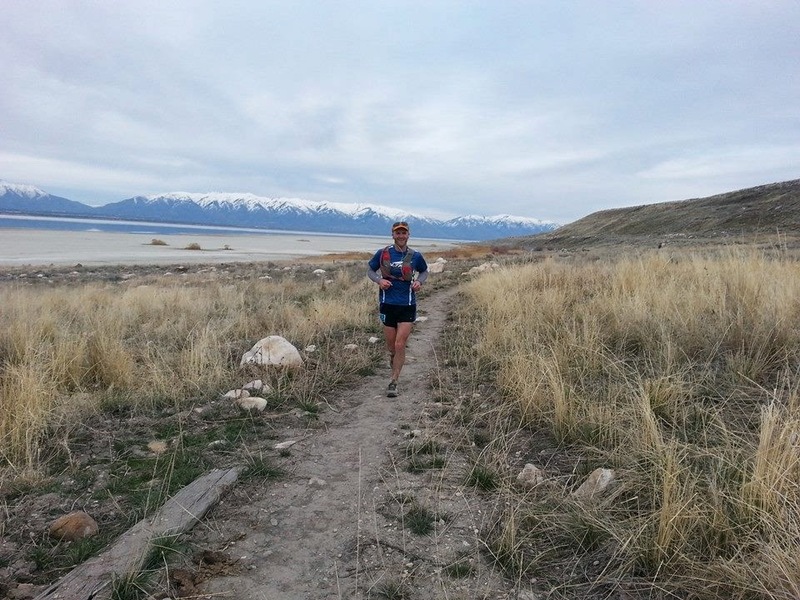 I'm no ultrarunner. I'm just some one hit wonder who randomly did 'ok' in a 100k once. I can't run 80 miles feeling like this. I can't be a 100 miler. I'm no good at this. Who feels like this at mile 20?...." and so forth. Fighting back tears I came into Lower Frary, ready to quit. Kelli Stephenson saw me. SHOOT. THE Kelli Stephenson (local speed legend). I tried to keep it together, not wanting to bawl in front of her. I wanted to quit. Kelli and Carol Manwaring's husband (who was F2 at the time) began tending to me. Another cute girl (whose name I didn't catch) told me I couldn't quit--I was such an inspiration to her! This brought the tears forward again. I couldn't do this. I asked to borrow Kelli's phone and hid under a comforter for privacy. I called my Dad and my husband, looking for sympathy and reassurance that quitting was the right decision. No such luck. In so many words, my husband said 'You don't sound miserable enough to quit yet.' 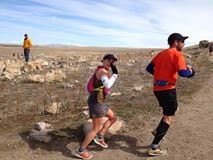 I responded with 'There's so many people at this aid station, I'm trying to hold some self-respect together!' He convinced me to commit to completing 10 miles. If I wanted to quit in 10 miles, I could have a ride home. With renewed commitment to my new escape plan, I popped my head out from under the comforter. I would sit until I knew I could stand without barfing again, then I would walk 10 miserable miles, then I would pathetically go home, disappear from the ultra scene, and hide in shame. 40+ minutes later, I got up. I had held down some coke (refusing ginger ale since I'd puked that too many times), 3 salt pills, and 2 Tylenols. I put the headphones on and hiked out. A few minutes later, I decided I could quit sooner if I jogged a little bit. That sounded nice. I took another salt pill and picked up the pace. Then I picked it up some more. Then... I started feeling good. Like, REALLY good. I smiled. 10 minutes later I couldn't stop smiling. Good music was playing, and I was running. I love running! I began shouting "I'M NO QUITTER!" at the top of my lungs. The 12-15 men that passed me while I sat at the aid station I began to pass back. Each one would see me and applaud, laugh, and shout hoorays. "Look at you!" "Wow!" "Way to rally!" "I can't believe how good you look!" "So inspiring to see you back from the depths of Hell!" Kendall, I'm back from the dead! I would giggle and laugh and high-five, catching names, telling them good job. My cheeks began to hurt a little from smiling so much. I finally saw Scott on the out and back. "Come catch me," he said. He had a 45 minute lead. Slowly but surely I began to make up lost time. I got to the Ranch Aid Station. Bart and Josh Greenwell called out to me, "I thought you droppped!" I laughed and said I did, but here I am anyways. "How do you feel now?" asked Bart as I walked out of the aid station. "Fantastic!" I shouted, theatrically spreading my arms and bowing. With a giggle, I was out. After all, it'd take some fast miles to catch back up to Scott. I got back to Lower Frary and found out the rumors of me DNF'ing were spreading like wildfire. I worried a bit that my pacers caught wind and wouldn't show. I smiled and those who saw me fall apart earlier took pictures, so happy to see me with a smile on my face. I was so happy to see them! "I'M NO QUITTER!" and I turned the music up, high-fived and thanked every person I saw, and kept on running. I caught Trent and Chris and ran with them for a while. Kendall came to say hello, and he heard me worry about my pacers so he gave them a call to make sure things were squared away (thanks Kendall!) "I'm back from the dead!" Conversation was fun and happy with Trent and Chris, and I left them in search of Scott, who I was told only had a 10 minute lead on me. I ran up hills shouting "Scott!" at the top of my lungs. I had never been in such a low, dark, awful place. To have left it... 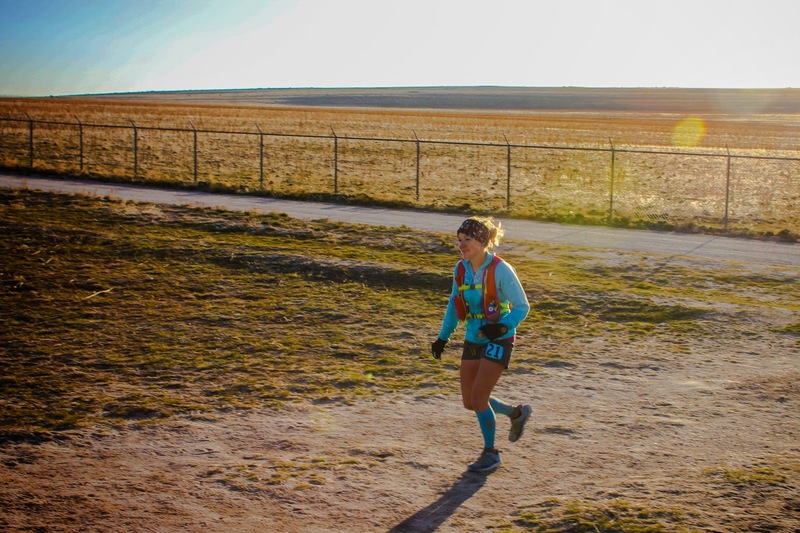 I knew no matter what went wrong, I couldn't feel that awful again during the race. It was freeing to know that the worst was over. I continued to pass the men who had passed me earlier, each with a smile and applause and genuine shared gratitude. "You looked terrible," they'd tell me, "and now I can't keep up with you!" I'd thank them and look forward to seeing them again on the many out-and-backs of the course. Still thriving on a coke-at-aid-stations-only diet, downing salt pills, and too scared to try anything else, I went on a hunt for Scott. I had a funny joke for him, after all. Each time I'd get the news he was closer and closer. The final aid station Erik Storheim smiles at me "Look at how good you look! I heard you had a terrible start. What do you need?" I found out Scott was only a minute ahead of me. "I need to tell Scott a funny joke!" and I sprinted out of there. Scott and I ran the next 5 in together, talking, laughing, making bets, and shooting the breeze. He had confidence I would continue to rally and finish strong. I had confidence he'd make his goal time. We came into the 50 in high spirits. Look who came to surprise me! Cheers erupted when I entered the 50 mile aid station. My husband was there to surprise me! "I kept getting all these texts!" he laughed. "I had to come see for myself." Many friends catered to my every whim. I think I had 7 people handing me things, smiling, everyone happy I was back. "I'M NO QUITTER!" 10 minutes later, Jim Skaggs (the RD) kicked me out. He was on the team "break the course record." Originally that was my hope as well, but Suwinski's words had resounded deeply. For me to come back, I had to let go. I let go of my time goals. I let go of wanting to win. I let go of the course record. I let go of wanting to inspire others or prove something. I was going to finish this race for me, at my own pace, in my own way, simply to remind myself that I could. I'd never had a "comeback" experience like this before. I needed to show myself that all those depressing thoughts about how I wasn't good enough to be a 100 miler were wrong. I could, and would, finish. Course record or no course record. Marty caught me up to speed and she began her pacing duties as the kindest, most thoughtful pacer I've ever had. 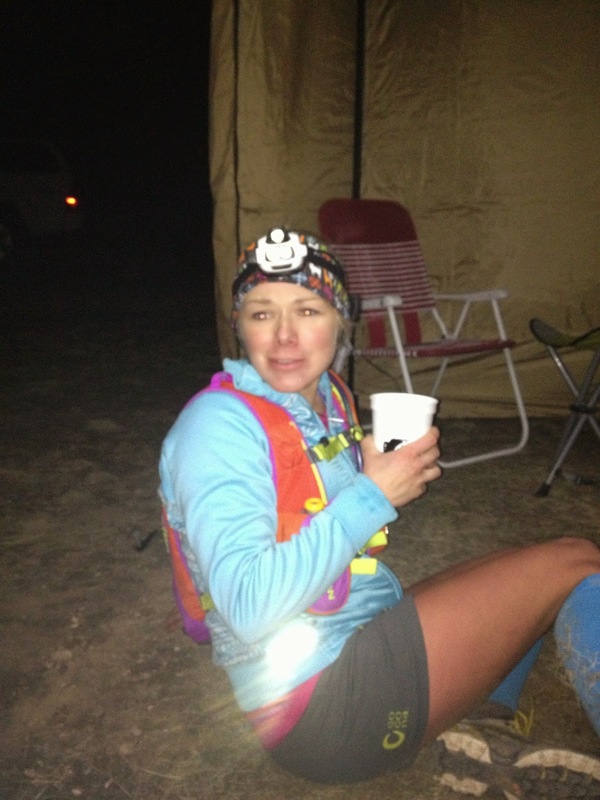 This was also her first ultra experience and her first run longer than a marathon. She was efficient, sweet, and babied my every need. Darting ahead to make sure coke was ready when I got there, keeping tabs on my salt, and generally keeping me happy and confident. 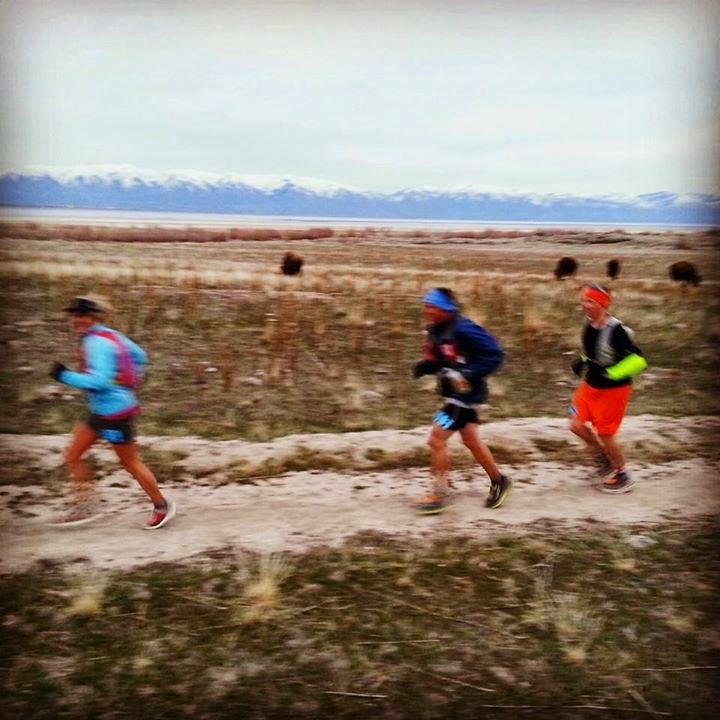 I saw Craig Lloyd at the Elephant Head aid station (mile 56?). He had just been dry heaving but looked happy and was hopeful that his stomach would settle. It was fun to finally see him (first time during the race) and give him a giant hug. Seeing him look solid... well, you can imagine my surprise when I rolled into the aid at mile 65 to see Craig in a chair. A little sympathy and encouragement and I convinced him to leave the aid station with me. I couldn't leave him there. His stomach problems had only escalated since I last saw him, and (little did we know) would continue to drag on. It was fun to chat and hang with Craig, and when he stopped to puke a few miles later I knew he'd catch me. At the 69 aid station I headed out before him. "Puke and rally!" he laughed. "Get a head start, I'll catch you in a minute." I spent a while enjoying the calm, trying to focus on simple movement, letting Marty chat while I listened to music. I struggled getting up some of the smaller hills to mile 77, but pressed on because getting there meant sitting down. We skedaddled over to the Ranch, Jen gently prodding me. I enjoyed stopping and seeing so many people, including the men's lead pack that would would soon finish. I saw Matt Van Horn far in the lead, looking fresh and fantastic, filling me with pride to call him a friend. When we turned around, the light we thought was Craig's behind us wasn't him. Nor was he the next one. And the next one. And the next one... I began to worry. When we bumped into Craig he had been hiking since Mountain View. His stomach was still out of sorts. While I hated seeing him like that (and I hated being reassured from him he wouldn't be able to catch me, felt so wrong for me to push on ahead) I had never been prouder of him. For someone who had been having stomach issues for over 40 miles, to commit to a finish (even if it is, for him, a slow finish of a long night spent hiking alone) is utterly impressive. Sheer determination and a "Refuse to Quit" attitude made me feel a little guilty for diving to the "quitting" side so quickly earlier on. It also made me so proud to have this kid as a mentor. I couldn't be more impressed with his persistence. Craig and I at the finish. Love that face. Ha. I continued on and found Scott wasn't far behind. I encouraged him to catch Craig, hoping they'd rally together and at least have a fun night. If nothing else, it gave me hope that my friends would be ok.
J continued to prod. "I'm done!" I'd cry into the blasting, awful, headwind. Uphill. UGH. "You can run this," she'd say. UGH. I finally decided to try to hurry a bit to the next aid station, confident that with my efforts surely she'd allow me a 10 minute nap. Mike Place graciously allowed me his sleeping bag and gave me noodles, which I quickly scarfed hoping (as J counted down my 3 minutes) that if I fell asleep quickly enough she'd have sympathy. c'mon, don't I look pathetic? Then she ripped the sleeping bag off of me and moved it away. "Time's up!" For reals? I convulsed in the cold. "You'd better start running so you can get warm." Well, at any rate, she's the first person that's ever successfully made me run when I was determined to sleep. My hips cramped so painfully even walking was impossible. I tried to stretch, and decided to take an Aleve (even though I was on Tylenol) to get things done. It was mile 88, anyways. I eased back into running. As my hips loosened my desire to be done increased. I could smell the barn door. Jen wanted me to get in under 20 hours, but I didn't really care. I just wanted the race, the pain, to all end. My pace began to drop and we ran (what seemed like) 9 minute miles from 88-95. We kept a strong pace going. "I'm done with this race!" I'd shout. Running a 9 didn't hurt any less than running an 11, and it would allow me to stop sooner. I took it slow around Buffalo Knoll, my Tylenol had worn off and I was fearful that if I fell down I would never get back up. As we approached the finish line I teared up. I remembered all the doubts I'd fought earlier. I remembered rebounding and feeling amazing. 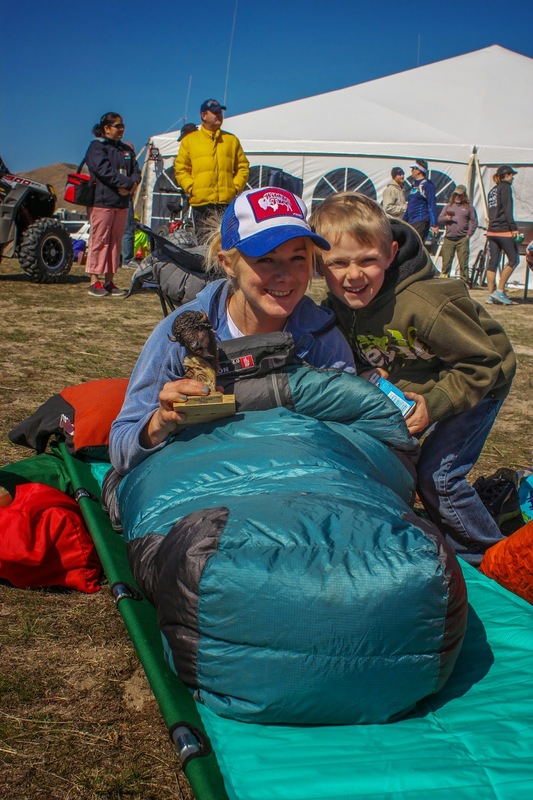 I remembered all the cheering and love and support from strangers at aid stations, volunteers, and every person I encountered. I remembered seeing my friends, each in their own races and pain caves, pressing on, refusing to quit, quietly teaching me with their actions. And I saw the finish line. I've never worked so hard for something in my life. It was harder and more painful than anything I've experienced. I've also never been so proud of myself for finishing. Yes, I appreciate the congratulations on my 100 PR, a CR, a win, and a decent time. But really, none of that matters. I quit, and then I finished. I've never been more proud of myself, all for the simple act of perseverance. people kept making me take pics with this kid. pretty sure I don't belong in this photo. MVH killed it out there! Thank you to everyone who believed in me when I didn't believe in myself, for all those who cheered for my minor victories, and for all those persevered in their own battles, their own victories, and inspired me during their races. Also thanks to the volunteers and all others who made this experience possible. Extra thanks to my pacers Marty and J, for coddling and pushing me, and helping me finish an impossible race. my kids think trophies are "the coolest"
I could've/would've stayed in my Helios, but changing shoes made it so my pacers let me sit longer. ha! Being sneaky. I never had a doubt about the outcome. Even when you did. Well done. So inspiring. You remind us all to push a little harder than we think we can. Great job! The best part of working Elephant Head Saturday morning and early afternoon was seeing amazing people like you. 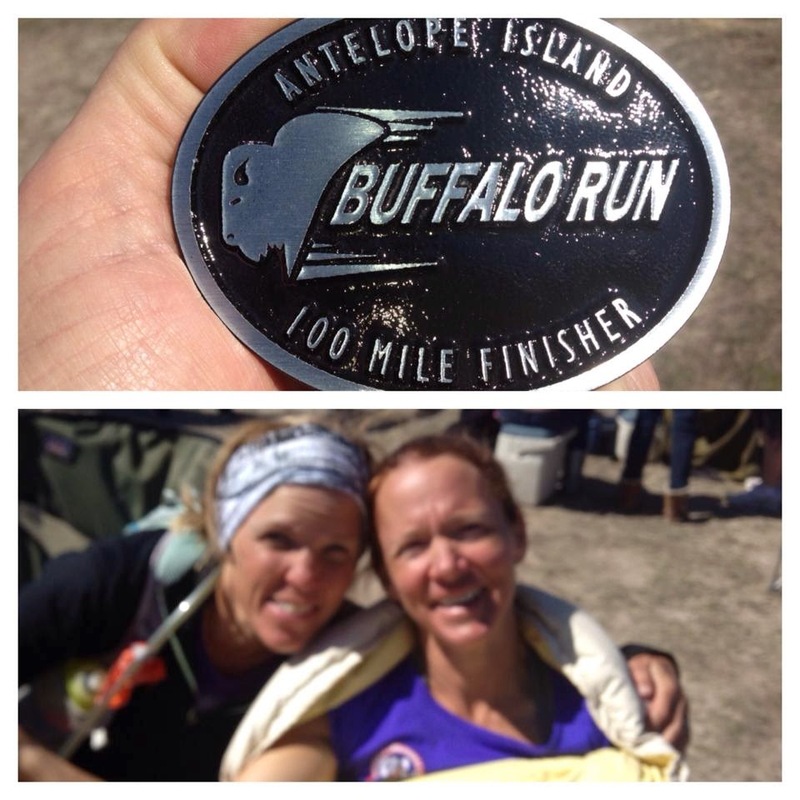 You guys are my inspiration and you rock, finish, DNF, or whatever. Awesome stuff! Makes a marathon look like a morning stroll!!! 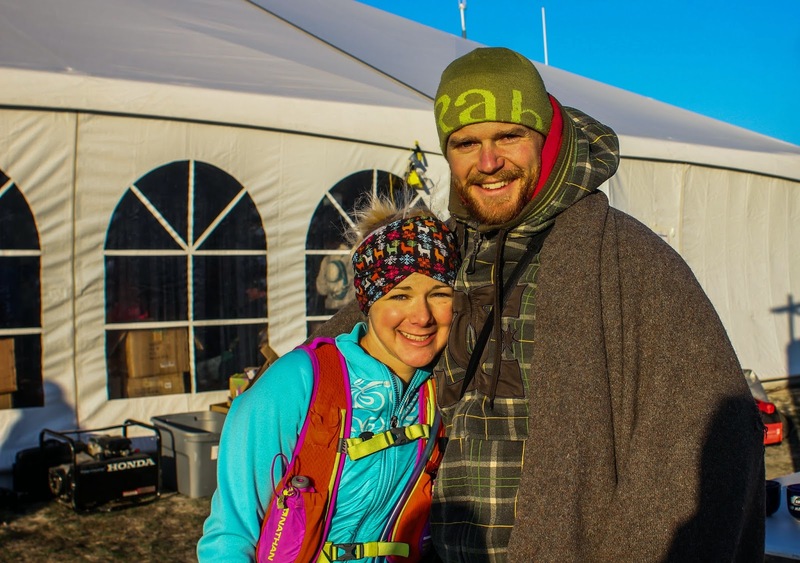 It was sooo cold coming back through Lower Frary at mile 88 that had you stayed for 10 minutes I would've had to crawl under that sleeping bag with you! (I'm convulsing just remembering that cold wind.) You were an inspiration to me in overcoming such heavy physical and mental obstacles and finishing. Thank you for letting me share some of those miles with you! Nice job. I hope I can be like you when I grow up. You're amazing! Congratulations! So proud of you for not quitting. Great work!! I was one of the walking dead that you blew by in the second half with a smile on your face! It was fun watching you make such a great race out of a difficult start.